Phil and Darren are traditionally trained carpenters and joiners who completed their apprenticeships with different companies and achieved City and Guilds Advanced craft qualifications. They continued at college night school achieving further City and Guilds qualifications including surveying, Principles of construction, maintenance and construction management. In 1986 they began working for a premium Double glazing company in Portchester. 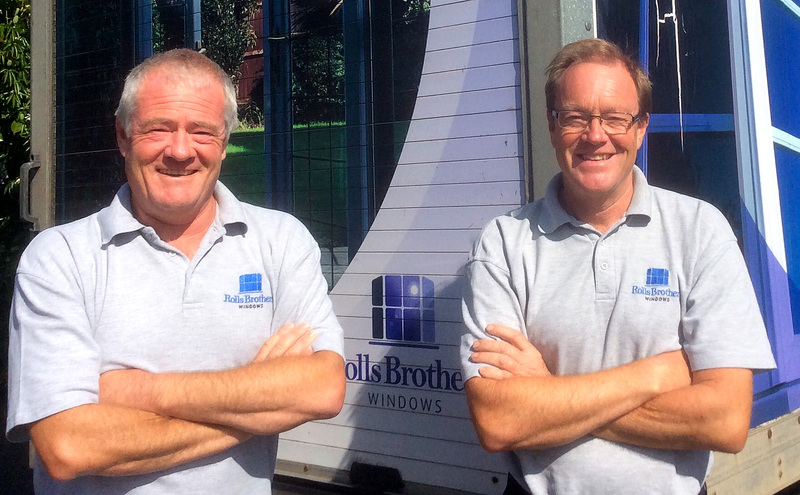 In 1988 after a year of planning, they started their own double glazing company, Rolls Brothers Windows. Why choose Rolls Brothers Windows? All consultation, design and planning is carried out by only Darren and Phil, who are the craftsmen who will be carrying out the work. No Salesman or sub-contractors Guaranteed! We really care that you are delighted with the results and then go on to recommend us to your friends and family. We will take great care of your home during this process covering your carpets and furniture with protective dust sheets. Rolls Brothers Windows is a well established local family business. All aspects of our business are continuously appraised in our pursuit of excellence. We commit to guarantees and do not make promises lightly. We genuinely want you to be delighted with what we do. We don’t advertise, maildrop or tele-market. Rather, all of our business is dependent on our customers telling others that we’ve done a great job! Unlike others in our industry, we believe our product and service sells itself. We’re proud of the fact that we don’t need high-pressured salesmen with commission targets to meet. We wanted to say a huge thank you for such excellent service. It's so rare to be one hundred percent satisfied with product, service and price- well done! Darren & Phil It was a great pleasure to offer you our window contract and even more of a pleasure to see the excellent quality & finish of your work. Both Industrious and pleasant, we have enjoyed having you here in our new home & you will be missed! We’re delighted with our windows and door. We also appreciated seeing you craft in action - and enjoyed your most agreeable company. It has felt very relaxed and like having friends in the house. Thank you for all this. Thank you both so much for the lovely job of fitting my windows. I am so pleased with them, also for clearing the downpipe. You are two of the most friendly workmen I have met. Also for leaving everything clean and tidy. Take a look at some of the windows we have fitted.